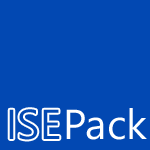 IsePack has been the premiere plugin for the Windows PowerShell ISE since it first came out. It contains shortcuts to supercharge your scripting, and ways that you can improve and extend the Windows PowerShell Integrated Scripting Environment. IsePackV2 is the updated IsePack for the newer PowerShell Integrated Scripting Environment. Here are a few things that make IsePack way cooler than the normal ISE. Access the of any PowerShell command. 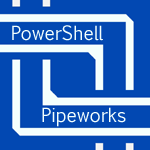 PowerShell Pipeworks - A Web Platform Built Atop Windows PowerShell, with Tons of Tools To Connect to the Cloud and deal with data. EzOut - A way to take the pain out working with types and formatting in PowerShell, you can make rich output easily. ScriptCop - ScriptCop is a tool to make sure your PowerShell scripts are following the rules. It helps improve your code quality.